A Wonderful 92.5 Sterling Silver Bangle bracelet. 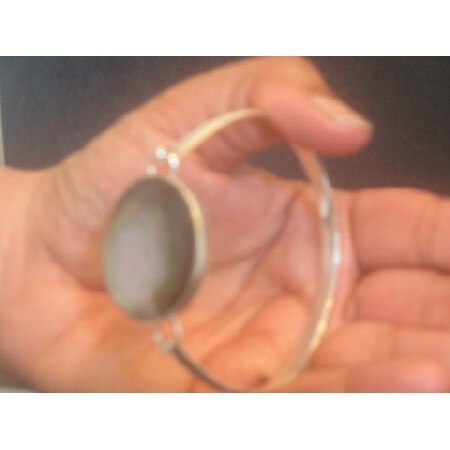 This very fashionable inspired bangle bracelet has a round Black Mother Of Pearl centerpiece that is engraved. The centerpiece measures 1 inch in diameter & is 3/16 inch thick. Braclet Measuring 2 3/4 inches diameter this sterling silver bangle bracelet is perfect for the medium size wrist.